Manifesting Success and Synchronized Time… Just in Time! Manifesting is a tool that can create anything you can think of. It’s not just about acquiring things. Manifesting can create concepts like happiness, calm and even an abstraction like time. As an artist I’ve learned that sales don’t always come in a steady stream. I have been working to overcome that by producing more artworks and promoting them more. 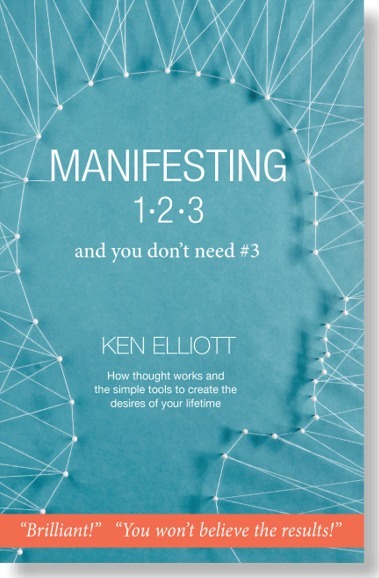 I also know that manifesting works and by using what I learned in the book, I’ve been encouraged to try out some new manifesting ideas to help with sales. Recognizing that sales have been in a seesaw mode, I went after the problem head on. I visualized a future with more sales each month and expressed gratitude at my success. I didn’t see a change right away, but things did improve slowly. Admittedly, I was a bit surprised when it started to happen more often. Not just one sale every now and then, but multiple sales in back to back months. That was exciting. I still can’t get over what happened. The commissions picked up a bit over the last year but starting three months ago a lot of commission work landed all at once! Remarkably, the four different clients had deadlines that were spaced out perfectly, giving me ample time in between each one. It looked good on paper and then life happened. Visitors and the holidays pulled me out of the studio more than I had planned. The first client received their painting on time and it looked great in their home. Three more clients to go. The next commission was for three paintings that had to be finished….. today. Well, they were pretty far along but still needed more work before they could ship to the client. I was in a tough spot, but a few days earlier I contacted the client to see if the delivery date was still firm. I was waiting for their reply. Now I was banking on something else I learned in the book and manifest every day: perfectly synchronized time. That means that the necessary time always works out somehow. A shift in the deadline would be a wonderful thing, critically so. The client got back to me right away and said the project completion date had slipped and I had another 30 days before delivery. Perfect!!!!! I can do this easily. There was another problem. The next commission in line is for 3 large paintings with a January 2 delivery and they hadn’t even been started yet. I had less than a month to make it happen. That was going to be tight, because with the deadline shift I now have 6 paintings due the first week of January. That is a lot of creative pressure and my concern was that it would be difficult to do my best work. Is this a reault of too much success? I was counting on a beautiful solution. Another call was made to the January 2 client, fingers crossed. I was told that their January delivery date had changed due to construction delays and that they would not need those works until April of next year. I can’t tell you how relieved I was to hear that piece of good news! Three large oils and 4 lavish months of creation time. There is one more commission due with two artworks but their February ship date will fit nicely with all the others. Wth the more spacious schedule I can continue to do new works for my galleries. I am in such gratitude to have this level of success and the time shifts to make it possible without undue pressure. Whew! Manifesting synchronized time is something I have seen a lot in my life from appointment changes, airline flights and even great parking spots, but this is the first time I have manifested an entire month here and five months there. I just love how this works! !